“I’ve been a yo-yo dieter my entire life. As I’ve gotten older, it’s become harder and harder to keep my eating under control. My weight was surging upward as I binged on sugar, fat and carbs. I felt tired and depressed and my cholesterol was on the edge of becoming a medical problem. I couldn’t find clothes that fit and looked good. I felt powerless and out of control. “Then, a few months ago, I ran into Cheri Bianchini at a concert. I told her I really needed an intervention. She said, “Come on down, and we’ll take care of you.” And take care of me they did! The entire staff at The Healthy Way was so supportive and encouraging. They helped me develop a plan of action, then helped me to maintain my commitment. 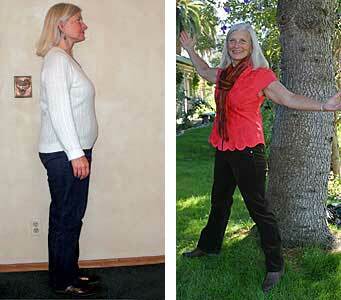 “In three months, I’ve lost nearly 30 lbs. I don’t dread shopping for clothes now, and everyone is telling me how good I look. The benefit I didn’t expect, though, was that I started feeling physically and mentally great. Lost 28.5 lbs & 64 inches!